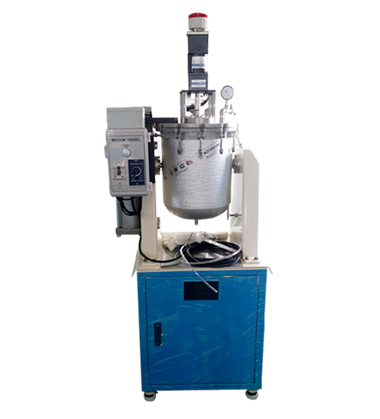 This equipment is available for vacuum defoamation/resin injection by changing resin viscosity. Cover can be opened and closed by pneumatic cylinder, vessel is rotated by 90˚. Workers can set up the optimized resin injection temperature. Inside sight glass is built the exterior of vessel, rotating propeller is built inside of vessel. It is dedicated device for resin injection which can be utilized to various production including composite material RTM, infusion. To control the resin viscosity, it can enhance the injection capacity.